Home > Trademarks > Crip-a-Cola: From Gang to Brand? In episode three, “White Gang Privilege,” Mike explores America’s love of the Outlaw, real and imaginary, and typically white: Al Capone, Tony Soprano, Tony Montana, Michael Corleone, Johnny Cash, Gordon Gecko, and Hells Angels, to name a few. The episode begins with Mike asking: How is it possible for Hells Angels, a known biker gang, to sell t-shirts on Amazon? And what’s stopping black gangs from doing the same thing? As Mike drives to a trap house in Atlanta to find out, he comments that “even though black gangs … are as well known as the Hells Angels, they haven’t been able to cash in and trademark their brands in the same way.” So he meets with Crips gang members Yayo, Murdo, AC, and Newny to discuss legitimate business ideas, like zipper and button manufacturing, and, eventually, the gang lands on a new brand of soda: Crip-a-Cola. Spoiler alert: The episode proceeds to follow the gang through all of the typical startup business challenges: getting a loan (or at least trying), creating a minimum viable product (needs more sugar), working with a graphic designer (his first time working with a gang), consulting a beverage industry expert (impressed by the polished product), focus-group testing (everyone is afraid or skeptical at first, especially Mario! ), advertising (a music video like commercial), and making that first sale (at a local farmer’s market), all while handling a new market rival (Blood Pop soda produced by the Crips’ rival gang, the Bloods). Considering everything that went into the episode, and the seriousness of the effort, I was left scratching my head over the obvious, and perhaps true-to-life, startup oversight: where’s the trademark lawyer? I spotted at least four issues where a good trademark lawyer could have really helped. Do you see the little circle-R next to the word Crip-a-Cola on the product packaging? That means “registered trademark” and indicates that Crip-a-Cola is federally registered in the United States. The only problem is that it’s not registered. In fact, there isn’t even an application pending! We’ve blogged before about misuse of the trademark registration symbol here (fraud?) and here (false advertising?). A good trademark lawyer would have corrected that to a “TM” and filed an intent-to-use application before going live on Netflix (or even to that first farmer’s market). Seems plausible that Crip-a-Cola could expect the same treatment from the largest beverage company on Earth. This is where having a trademark lawyer in your gang would really help. For one, to identify issues like these (never mind taste infringement) and identify strategies for going forward, but more importantly, to look for defensible legal positions and creative solutions, for example, perhaps seizing on this line in Coke’s opposition: “Furthermore, the ‘CROPA’ term has no independent meaning, further failing to distinguish it from [Coca-Cola].” (emphasis added). Here, Crip-a-Cola may have an advantage: unlike “Cropa”, the term “CRIP,” does have several independent, distinct meanings (perhaps the most helpful is the possible backronym: “Common Revolution In Progress.”) and is likely famous, or infamous, in its own right. What else could a good trademark attorney help with? How about determining ownership? 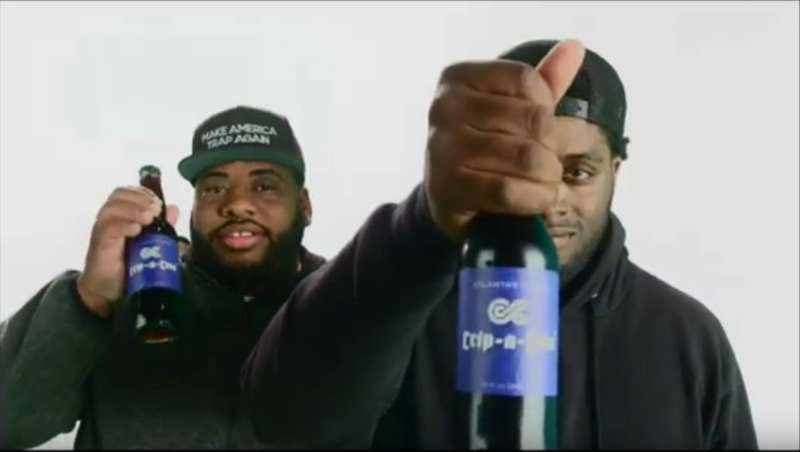 Absent a legal entity to own the CRIP-A-COLA mark and the related business, Yayo, Murdo, AC, Newny, and Killer Mike would own Crip-a-Cola jointly as individuals in a general partnership, the worst form of legal entity, due to the shared, personal, and unlimited legal liability each partner shoulders. Better to form an LLC at least, not only to more cleanly own the trademark, but also to remove personal liability, formalize ownership, management, and tax decisions, and adopt buy-sell provisions. Furthermore, what about competing claims of ownership? Is there an official Crips entity that could claim false association? Maybe – one trademark application filed July 5, 2018 for the mark CRIPS for “association services” and “Organizing chapters of a Community Revolution In Progress club and promoting the interests of the members thereof” suggests that an entity called Crips, LLC, may have been formed to claim leadership of the Crips. This would be something any good trademark attorney would investigate, and develop a strategy for dealing with. 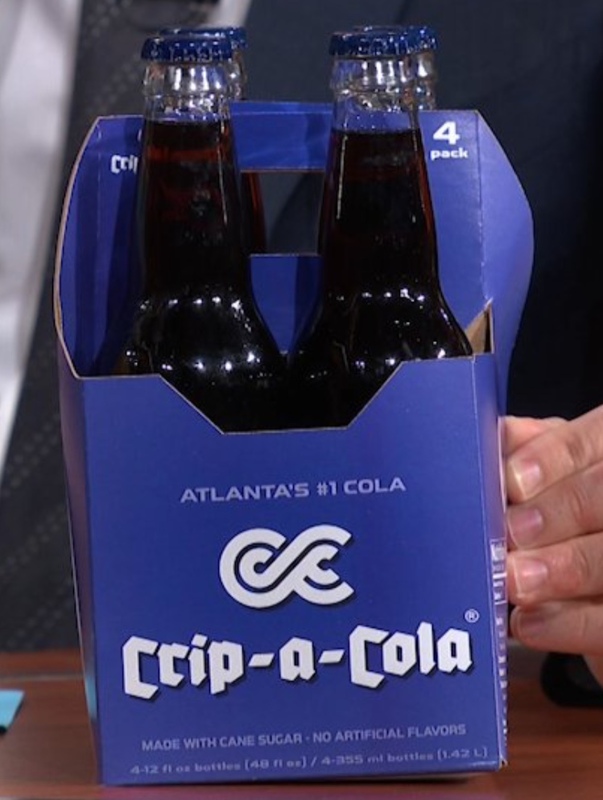 The fine print states that “unauthorized use of the Crip-a-Cola font is prohibited by law.” The problem? Fonts, or typefaces, are only indirectly protected by law, and not in gross. Sure, if your typeface is displayed as a result of computer software code operating on a device, then copyright protects the computer code necessary to display the typeface as a font. This is the main reason why certain fonts are licensed. But if the typeface is “copied” or used without authorization through other means, there is no recourse under copyright law. Instead, one would have to turn to trademark protection of the stylized mark, which, absent a federal registration would be limited geographically by common law rights based on use, perhaps as narrowly as Atlanta or the State of Georgia. And except for the famous typefaces of famous brands (for example the Coca-Cola script), such rights would be further limited by the goods in connection with which the typeface is used, to prohibit use on only identical or related goods (for example, complimentary goods, or goods within the likely “zone of expansion”), in this case, rival beverage or food products. So the claim that the “unauthorized use of the Crip-a-Cola font is prohibited by law,” while not entirely untrue, is mostly inaccurate. Outlaws are known for having their criminal defense attorneys on speed dial. Maybe it’s time to add the number for a good trademark attorney. This is such an informative blog!! I’m floored as to how much I learned through such a quick read. I’ve watched 90% of the killer mike series on Netflix, the CRIPS episode being one of the two most interesting subjects. Thank for the examples and resources that I can now put into practical application. Trademark and Copyright Law is quite intimidating, when starting a new business, but your blog has provided a bite-sized format for better understanding.